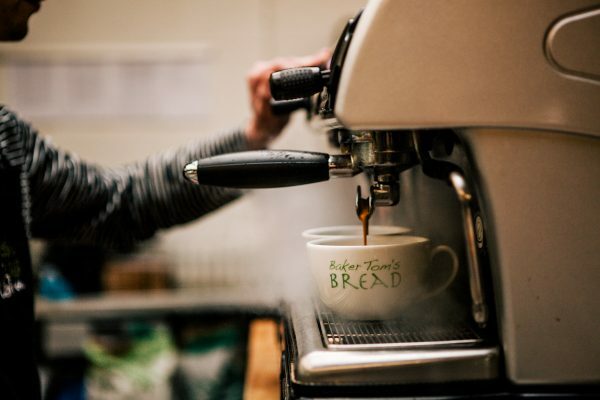 The real heart of the business; the Café at our Bakery in Pool is a place that never sleeps. 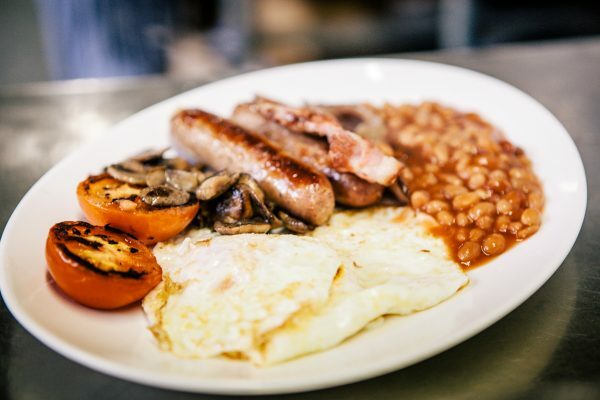 Our famous breakfasts are the perfect start to the day. 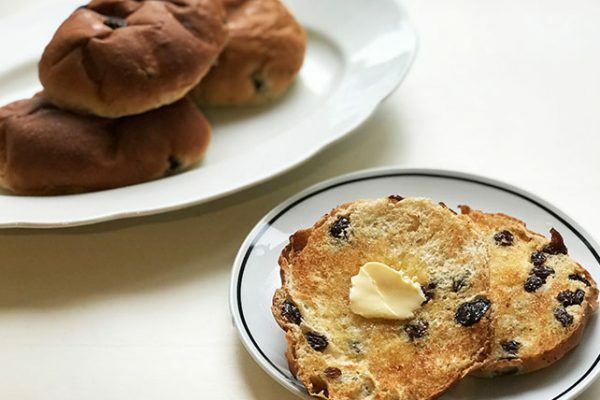 There are pancakes for little ones, hearty cooked breakfasts for the hungry, vegetarian options for non-meat eaters, croissants & toast for those looking for something lighter and bacon rolls for people on the go. At lunchtime, our specials boards are filled with daily dishes by our Baker Tom chefs. In addition to fresh soups, homemade quiches and doorstop sandwiches, we offer tasty treats such as pulled pork in a brioche bun, spicy chilli in a bread bowl and hearty homity pie. Plus sausage rolls and pasties to go. Or just pop in to relax and enjoy a coffee and cake by the fire. We have two high chairs and offer lots of dishes that little ones will enjoy. 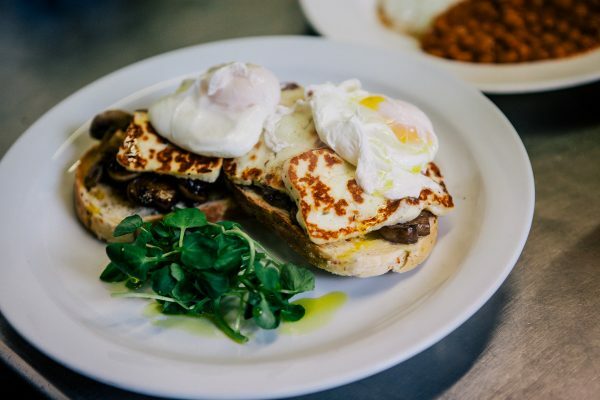 Breakfast is served until 12 noon Mon – Fri and until 2pm Saturdays. We also offer a buffets service from our Bakery Cafe – please see more details below. 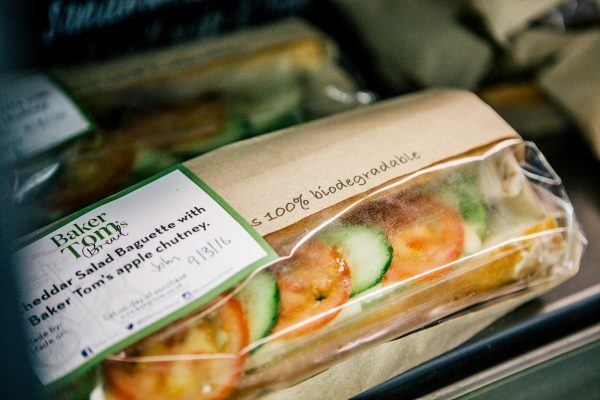 Our meal deal includes any sandwich, soft drink, cake or crisps for just £5, or £6 if you choose to eat in. Upgrade to a hot drink for £1. 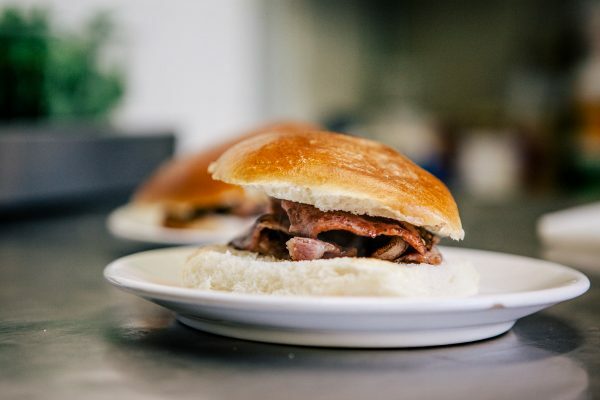 Our ever popular bacon bap deal: treat yourself to a takeaway bacon bap with a tea or filter coffee for JUST £2, 8am until 10am Monday to Saturday. There’s also the option to upgrade your coffee for £1 or add a sausage for £1. 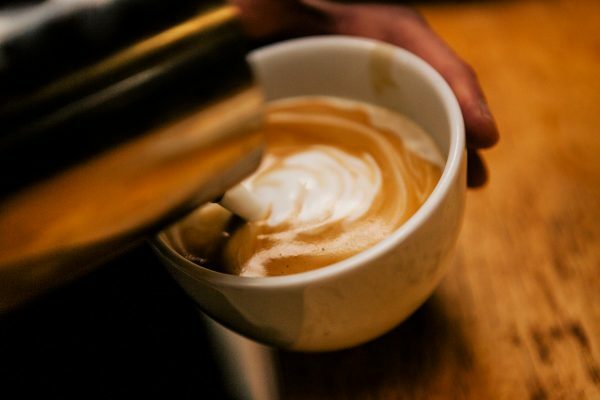 Whether you prefer a Flat White, a Latte or a Cappuccino, our trained baristas can make the perfectly brewed hot drink with Cornico fresh coffee. 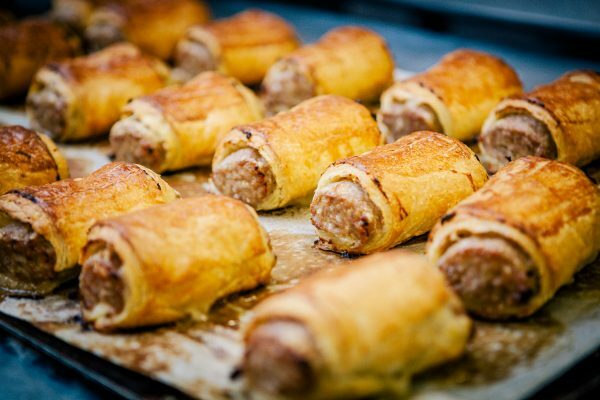 Our catering service – Baker Tom’s Buffets – is a fantastic way to cater for groups of people, whether it’s a business lunch, training day or a special occasion. Every order is tailored to the occasion and time of day required, and to suit dietary requirements. 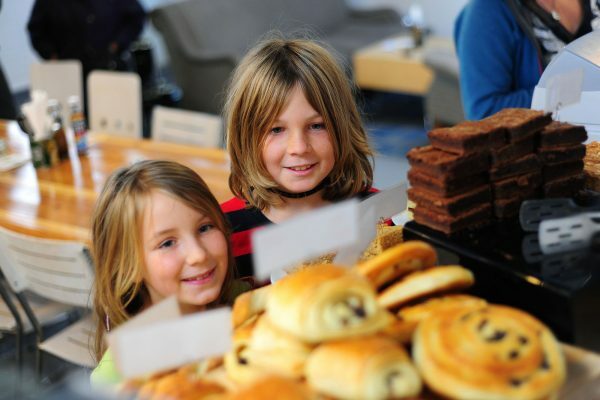 To discuss your upcoming buffet, call the Café team on 01209 218989, or email pool@bakertom.co.uk.